I just can't get over what an incredible family I have. I am SO grateful for each and every little thing that you do. And I am SO proud to call you my family. Reve (my sweet stepfather) decided he was going to make reusable sanitary pads for the girls in my village. He got the templates to make the cloth pads from an NGO called Days for Girls... and he went to town! He recruited help from my mom and my aunt terry as well. They worked tirelessly to track down fabric, sew for hours on end, and ship these beautiful homemade kits to Botswana. After long discussions of selecting the right girls, I had the chance today to distribute 44 Days for Girls Kits to girls at my Junior Secondary School (the other 6 went to women in my family here). The girls who were selected were identified as the ones most in need.. orphans, students registered with the social work office, etc. I sincerely wish my family could have been here to see the twinkle in their eyes and their excitement to receive these homemade treasures! It was a long process... and very well worth it! 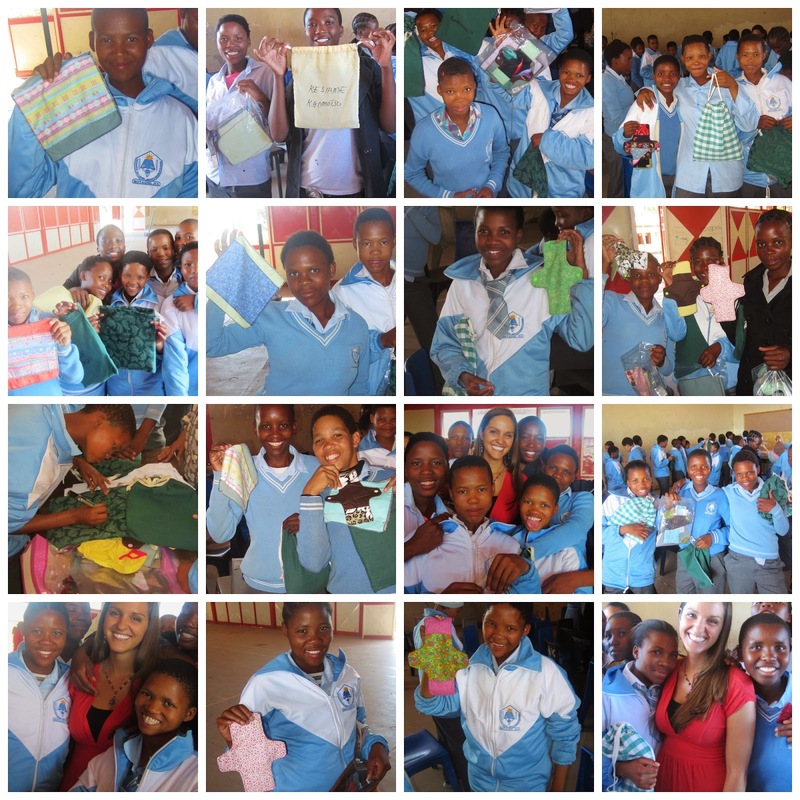 These girls now have reusable pads that will last for years with proper care. Many of these girls face economic issues on a daily basis, so this is just one less thing for them to have to worry about. The girls thanked me profusely, wanted me to pass along my thanks to my family & everyone left with a smile on their face. photos with the girls who received the kits and their teacher who helped me organize the distribution! THANK YOU, from the bottom of my heart, to everyone involved in making such a big difference in the lives of these young women!